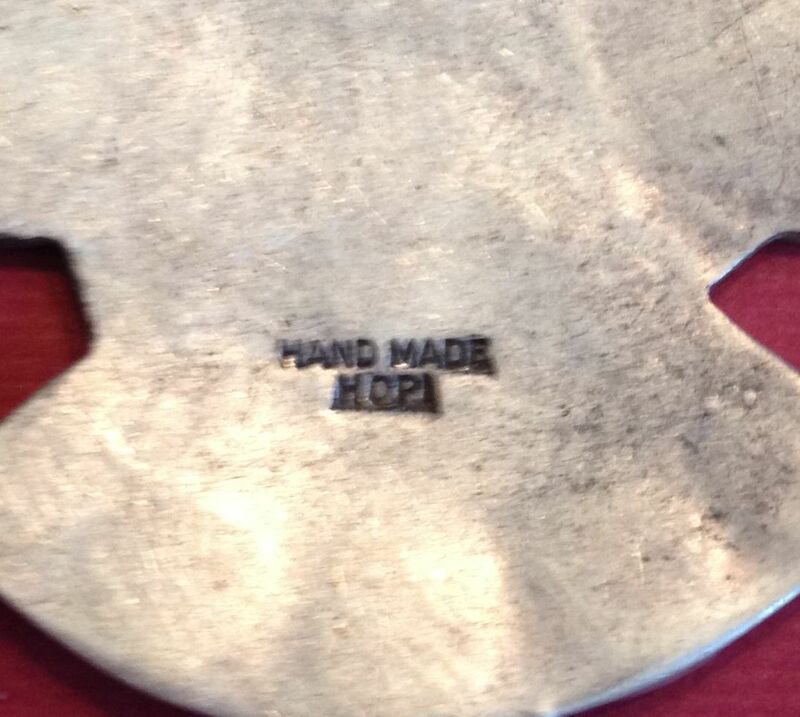 Little info in Canada on Hopi hallmarks – can you help? Could your recommend someone who might be able to help me with signed pottery? I have small items by Marie G. Romero from Jemez, Gloria Gachupin from the Zia Pueblo, and a beautiful pot by Rondina Huma, Tewa. I know nothing about pottery, so perhaps another reader might reply to that. 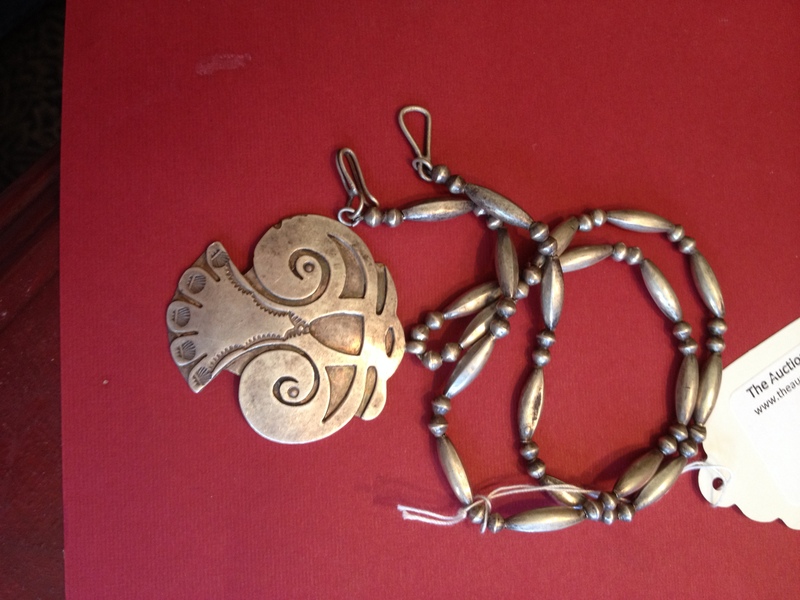 Elain, you also sent photos of a bracelet. If you want to resubmit that as a separate question like you did with this pin question, I’ll put it in the queue. 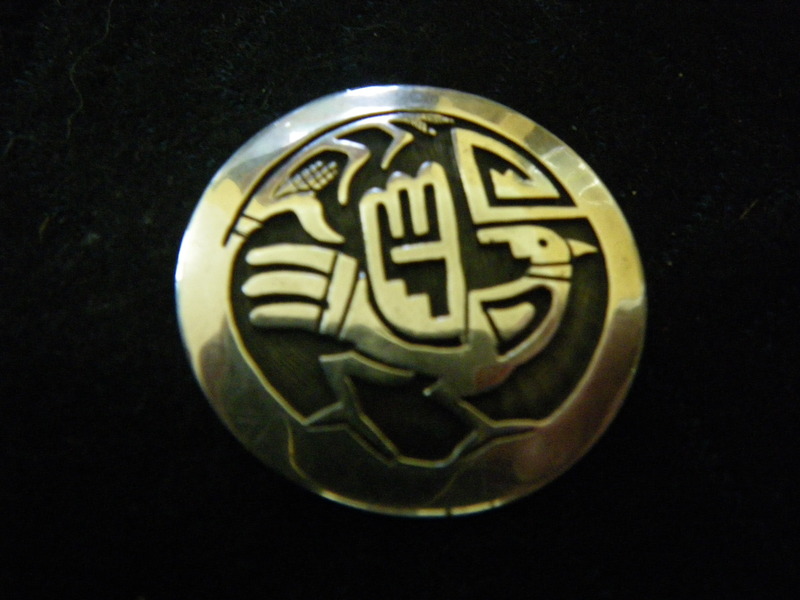 Now to the hallmark on these wonderful collectible Hopi pins. 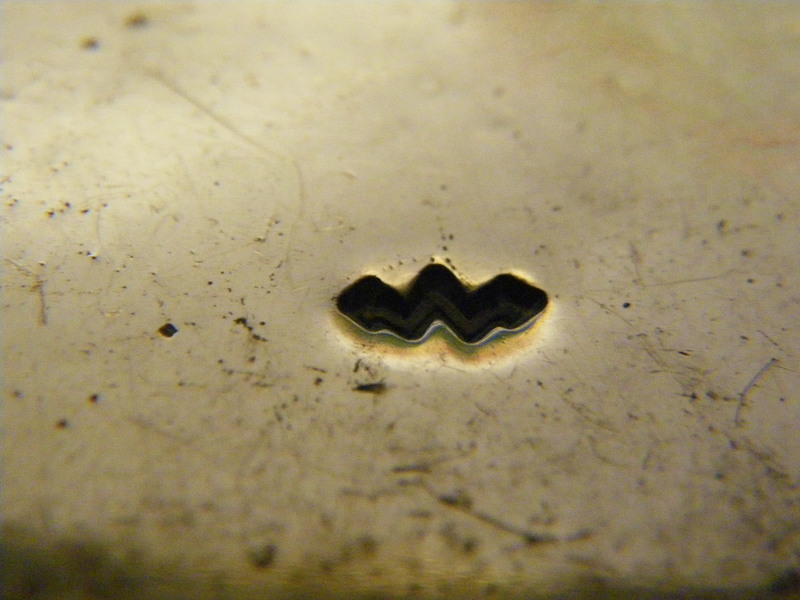 The W hallmark is actually that of a lightning bolt with two arrowheads, one on each end. 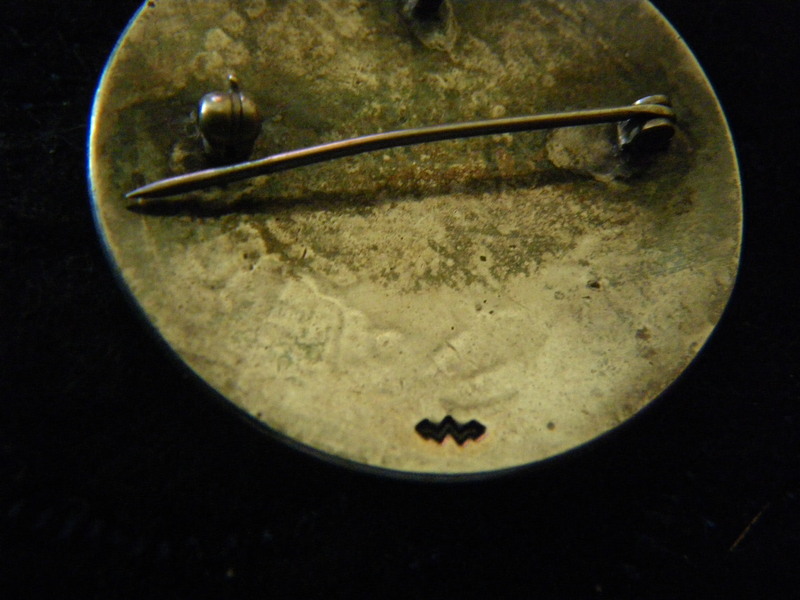 There is a bit of patina there occluding the hallmark. 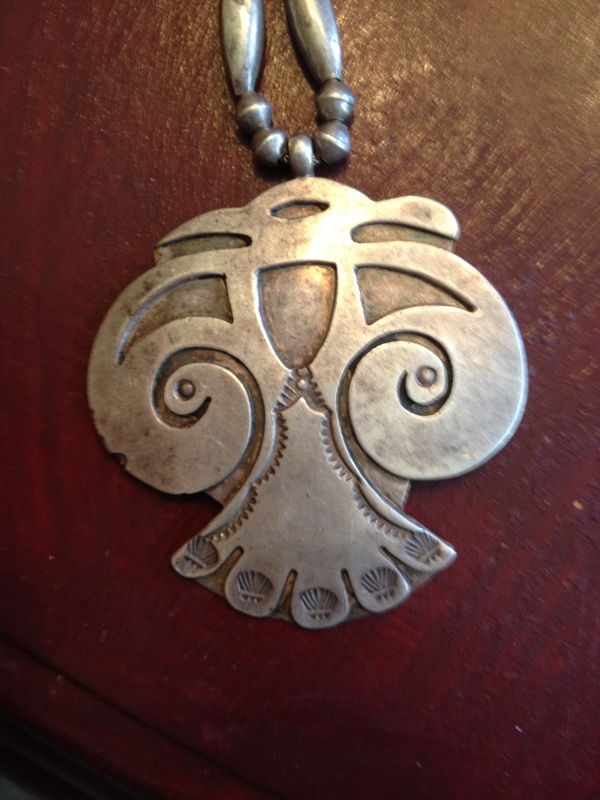 That hallmark is of McBride Lomayestewa, a Hopi artist of the Snow Clan from the village of Shungopavi who was born in 1932. He began work in 1956 and died in 2002. 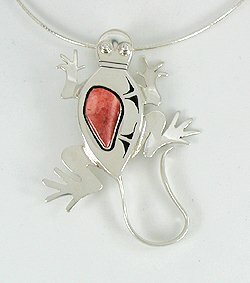 He learned his craft at the Hopi Guild. He is brother of Mark and Clarence. Now that you know the artist’s name you can do a search and learn more about him and see other examples of his work. 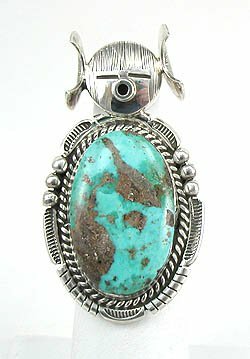 Is this pendant marked “HOPI HAND MADE” a fake? I am trying to research the mark, and now am afraid that it’s a fake. I haven’t been able to find this mark anywhere on the internet, hopefully you can help me. Thank you very much! I really appreciate that you do this service for people. hopefully it’s good news and not bad! nor does it appear in any of my reference books. 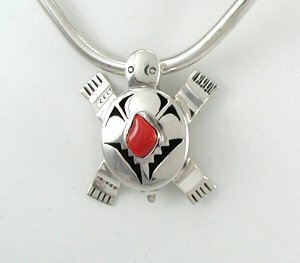 Furthermore, when I look at the pendant I see at least two things that are not characteristic of Hopi work. 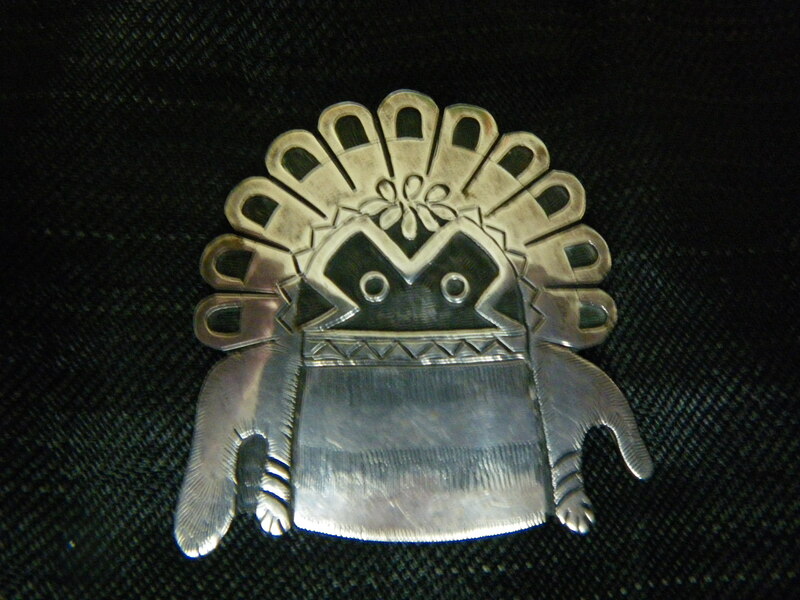 First the stamping around the bird’s tail – stamping is not usually seen on Hopi silver work. 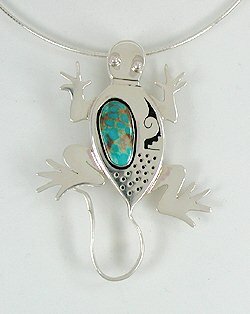 That would be associated more with Navajo silversmithing. Secondly, the background that the overlay is placed on top of is smooth, not textured. Hopi under layers are usually textured. 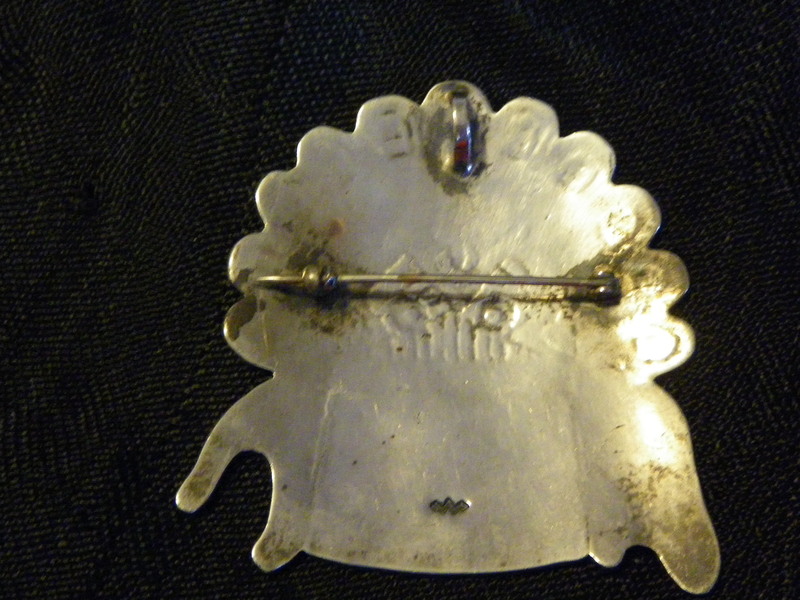 Perhaps another reader of this blog has seen the stamping on the back before. But from my knowledge and experience, I can’t provide any information for you which authenticates it.